The Ethnographic Open-Air Museum of Latvia was established in 1924. Today 118 folk architecture objects are exhibited in the territory of 87ha on the coast of Jugla lake in Riga. The museum collects documents and preserves the objects of folk building monuments of Latvian historical and ethnographical regions, along with evidence of the way of life and culture of the rural population, characteristic to the period from the 17th century until 40-ies of the 20th century. 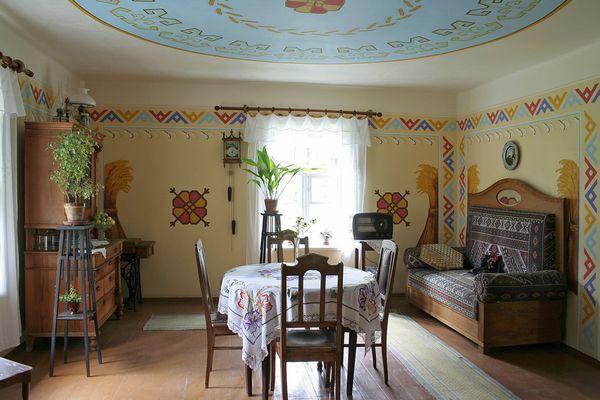 The museum researches, exhibits as a whole and promotes the monuments of traditional life, as well as educates and informs the society about the cultural heritage, work and daily life traditions and aesthetics of folks who have lived in the territory of Latvia. 6) visit the applied folk art fair during the first weekend of June.